Hey all, last season part way through harvest I bought a 2016 40ft fd75 from a local farmer. It was on his 2003 r75 gleaner so adapter looked correct for my 2013 540c. It fitted up fine and single point harness functioned correctly but as I used it seemed like feed auger and center draper seemed to be running a bit slow. Wondering if I might need to change drive sprocket. Macdon service states it should be correct for all agco, but wondering if it was set up different for the older gleaner? Said it should have 18 tooth on it. I sped up my vs feeder house a bit and helped, but seems better to correct draper speed if available. Should always run variable speed feeder at max for a MacDon except Deere where the slowest is used. Gleaner has always had a fast feeder shaft speed and I doubt that has changed, not sure why MacDon would recommend the same pump and sprocket with a vastly different feeder shaft speed between Agco brands. Page 21 (MacDon catalogue page # at page bottom) item 15 is sprocket in question. I’d start there, pump change for draper speed (item 37 or 40 depending on pump manufacturer) much more costly of course. Macdon rep mentioned possibly trying 20 tooth kit. I never did check sickle speed which I should do. feederhouse will pull crop up quicker than header will feed it in. Correct a 1969 442 numbers matching local montana car. Needing some tlc , but a nice original. Invested some time, over 15 years, and money bringing it back. 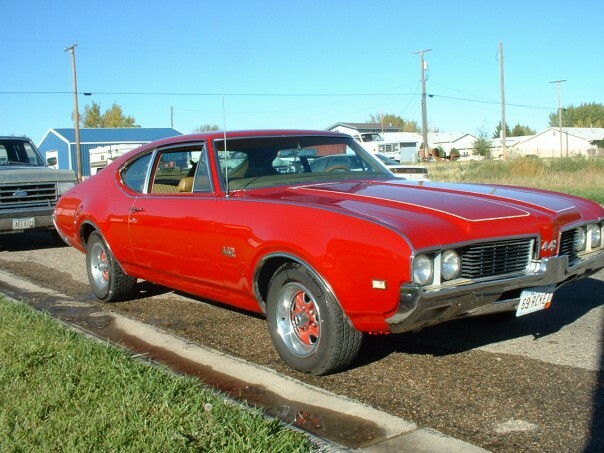 Sold her a couple years ago, so the 442crazy can mean crazy for buying it, crazy for sticking a bunch of money in it, or now crazy for having sold it, haha. Macdon rep mentioned possibly trying 20 tooth kit. I never did check sickle speed which I should do. Leave feeder at full speed though, knife can stroke up to 1400/700 pulley if DKD, I’m going to bet it’s on the slow side, it is adjustable on the pump. Thought I remembered the 442 correctly, love your three time “crazy” description!